Somehow, I missed this gem from earlier this year, but it’s so bad that it deserves a thorough savaging. 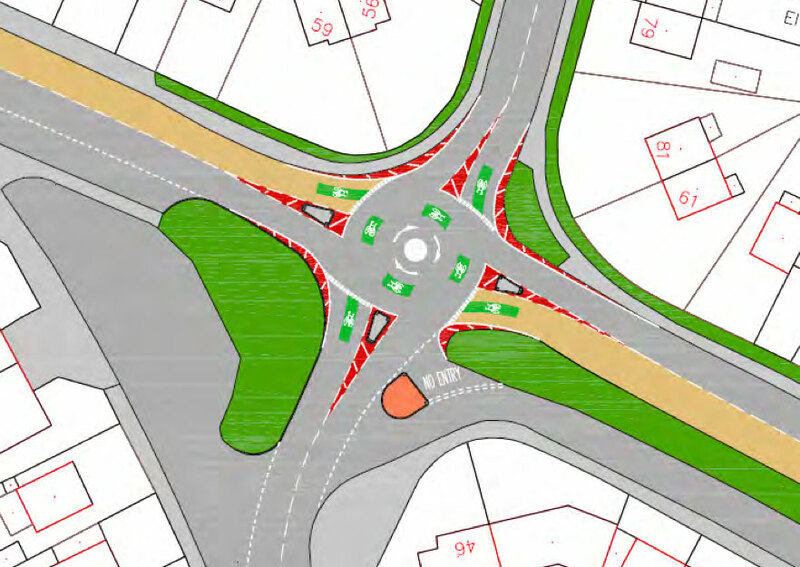 In July, British Cycling published their “Vision” for the Headrow in Leeds. Actually, it seems to be just a vague concept for a very small section of one street in Leeds, so its scale is hardly visionary to begin with. It’s a very wide road designed for the movement of large numbers of motor vehicles (lots of buses here, with stops on the north side), and without even basic features such as pedestrian crossings in suitable places. Where crossings do exist, they’re staggered, for the benefit of motor traffic. Clearly, there is lots of space available here. Eastbound the carriageway has two wide lanes, there’s a wide central reservation, and the lane westbound is two cars wide for most of its length. Lots of buses use this road, and there’s no restriction on general motor traffic here either. So with such a large canvas on which to paint some excellent infrastructure, I’m completely baffled as to how British Cycling, with help from Steer Davis Gleave, have created an absolutely awful concept, with painted lanes, unusable bus stop bypasses, and bikes sharing space with buses. The images above are taken from this video, which ends with a pathetic request for “£10 per head”, which given that the Dutch invest more than twice that amount on road infrastructure alone (not on “soft measures” such as training or promotion), it is nowhere near enough to “catch up” with the Netherlands. Some campaigns have actually done the maths and are asking for real money, not pulling nice-sounding numbers out of thin air (I’ve not yet seen an explanation at how £10 per head was arrived at). Pedal on Parliament gets it. Stop The Killing gets it. The Cycling Embassy gets it. 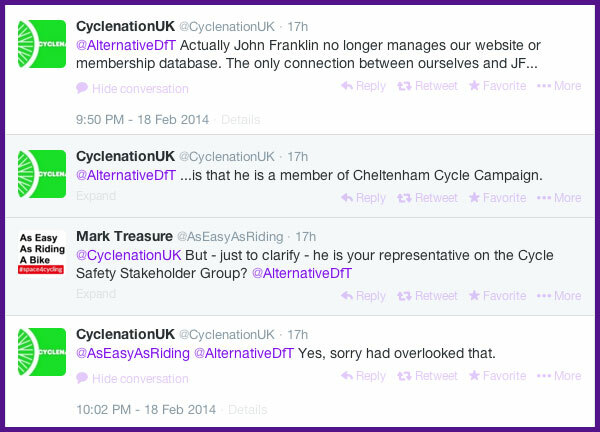 Why are the big guns of cycle campaigning so unwilling to actually ask for a decent amount? Anyway, I digress. Back to the Leeds “Vision”. So there’s plenty of space – and a need – for Dutch-quality segregated cycleways along this stretch of road. Why haven’t British Cycling suggested any? Steer Davies Gleave have some people in Leeds who seem to be on the ball. British Cycling have got Chris Boardman, who is always saying the right things these days, and yet he’s talking about this crap as if it would make a blind bit of difference. 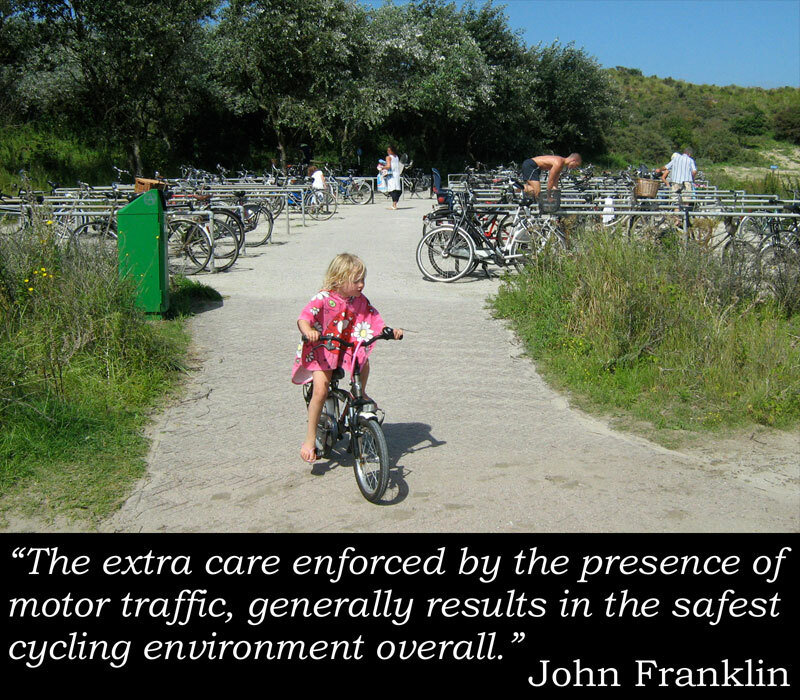 …when describing a road plan which does nothing at all to address those fears. Perhaps the “we” in the second sentence refers to the cycle campaigning establishment, who, it seems, continue to pretend that people’s natural dislike of sharing roadspace with heavy motor traffic is going to miraculously change. Is this simply another example of a wider problem with our society, that everything is dominated and designed by middle-class, middle-aged, white men – AKA Default Man? Do they lack the empathy to see things through the eyes of others? It seems they’re unable to listen to what people want or need. Fifteen years ago a teenage girl from Leeds identified what the city was lacking, and what it would take for her to use a bike in her home town. Rather than listen to her, the sombre grey Franklinists explained that she was wrong, that she was much better off riding on the road instead. Nothing in Leeds has changed since then. They didn’t listen to Zohra back in 2000, and those in positions of power still aren’t listening. If this sort of crap is the best they can come up with, then it’s time for the grey men to get out of the way, and make space for a new generation of campaigners.